I found this site with lots of amazing fairy ideas. And, if you want a chance to win your choice of one of my Flower Fairy necklaces (look here to see them all), head on over to my Facebook Page and answer the contest question. Contest is open to all. Here’s the link to the page (and, while you are there, you can ‘like’ it too :-) – The Magic Onions Facebook Page. A new contest will be announced each Monday, so, if you are a fan, you’ll get the contest alerts as soon as they go up. 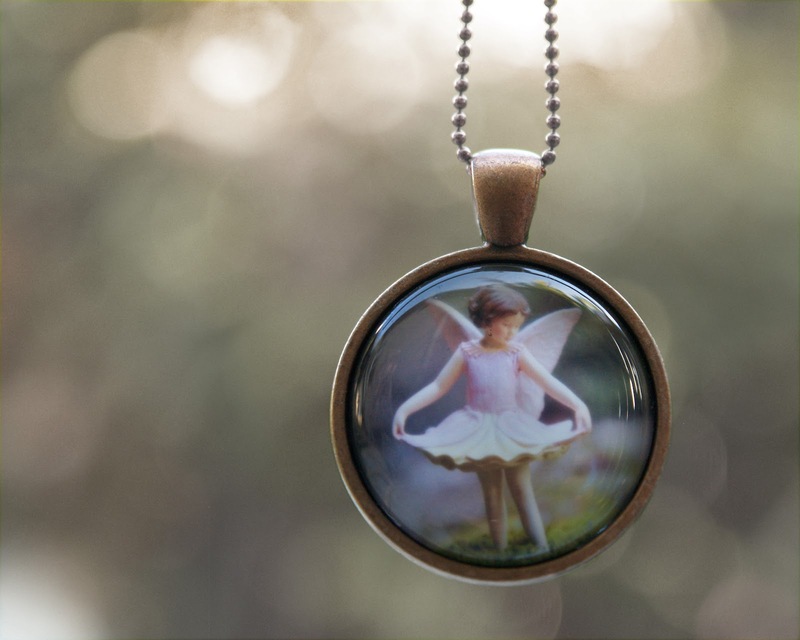 I have made these sweet little magical pendants using original photos from my photography shop, Dovie Moon. Each one depicts a Flower Fairy scene and is sure to enchant young and old alike. I was just looking at your fairy necklaces… they are so precious! Boo! I don’t do Facebook. Love the fairy necklace, I’ll have to visit your shop. I don’t do Facebook but i just wanted to let you know how much I love your necklaces!